Conservation and dogs - What do they do? 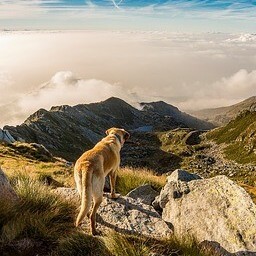 New Zealand was the 1st country in the world to use dogs within the conservation sector of New Zealand and this dates back as far as the 1890’s so a very long time. helping monitor kiwi, blue duck/and kea on the West Coast. The Dog handlers go through a training program to learn all about every aspect of conservation and how to train the dogs who will work with them for years to come. Predators kill a lot of precious birdlife in New Zealand and if something isn’t done to stop rodents killing them they will eventually become extinct which would be terrible so the handlers and the dogs do an amazing job. 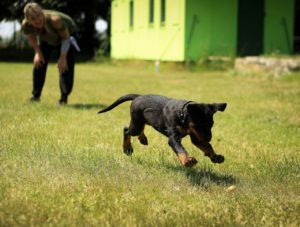 And check out this video – New Zealand will be predator-free thanks to the expert training of these amazing dogs who find the predators and do an incredible job for the handlers. Pest detection dogs are trained to locate animal and plant pests, or evidence of their presence. Pests can include cats, stoats, rats, or invasive insects like Argentine ants. We use pest detection dogs for ongoing monitoring, eradication, and island biosecurity work which consists of quarantine, surveillance and incursion response. 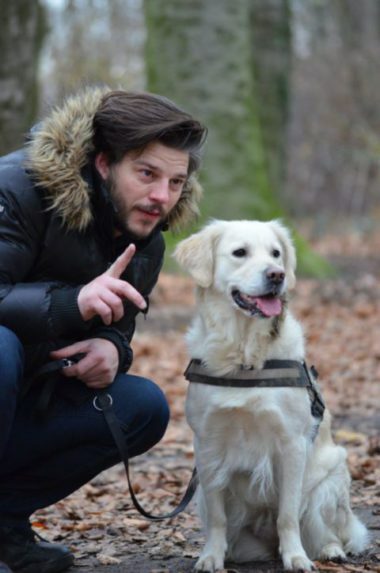 The dog and handler must master specific behaviors and basic commands before they’re allowed anywhere near the target species or area they inhabit. A handler will select a pup or a young dog and begin bonding and training for interim certification. The dog’s initial training may take up to a year. Once the dog has gained maturity and the ability to focus, it can go for its interim certification. If successful, it can then be carefully introduced to the target species and start working in the field. After another six months, the dog can go for full certification on the target species (and that species only). The dog has to go through the interim and full certification process for each species it’s being trained on. Training takes a really big effort for both the handler and the trainer and is often frustrating however it is well worth the trials to get the dog to the acceptable level for work and what these dogs do is amazing. They are so clever. Often Pointers are used to find species that are protected. When they find a bird the birds have a leg band attached and are monitored or sometimes taken to a new place to live. Terriers are used to hunt for rodents, stoats, and weeds that could destroy our wildlife in this beautiful country. All dogs must be thoroughly trained as it could be very dangerous if they are not trained to do exactly what is needed and they could also be a threat to protected species hence the rigorous training they have to go through. These dogs are incredible and work diligently until the job is done. They are muzzled and in a harness with a hi-vis jacket if needed and off they go to work for their handler who has certain instructions to give the dog for different tasks in different areas. These dogs are highly intelligent and love what they do and have saved so many birds and other creatures becoming extinct and New Zealand’s aim is to be rodent free. If you are interested in conservation and dogs you may like to take a look at these to links as well as I found some really great information here and also here in this pdf. Education is so important and if anyone reading this wants to get involved check out careers and the Department of Conservation. This is not the only area of conservation in New Zealand so go check it out. New Zealand is one of the most beautiful countries in the world and we all need to help protect it. Littering needs to stop, fires lit by people who don’t care, using plastic – try paper or cloth and all sorts of really interesting stuff. Conservation and dogs are a huge part of the conservation team but there are also many other positions to learn about if you are interested in the outdoors and where we live and how to help it stay green and beautiful. Rodents were introduced into our country and now it is time to rid the country of these animals and using dogs is a great way to do this. In closing today, I really hope you got something from this article and have checked out the different links as you went through. I do as much as I can to help conservation by having natives which attract the tui’s and other gorgeous birds and of course bees which are essential to our survival. Please leave a comment as I love to get peoples feedback. *Some of this content is used as a reference for visitors to see the importance of conservation and dogs and what they do. What do you think about the popular “dog whisperer” methods of training? I am personally fascinated by it.